Simon Zutshi is a financially independent, full time property investor, with 12 years experience of investing in residential property in the UK and overseas and best-selling author of “Property Magic”. Simon started investing in 1995, when as a first time buyer, and a recent graduate in debt, Simon found a strategy to purchase his first property (his home) using none of his own money. By renting out the spare rooms he was able to cover the mortgage payments and effectively live for free! Caught by the property bug, Simon started to buy more property and by the age of 32 he was financially independent due to the passive income generated from his multi million pound property portfolio. As a member of the Professional Speakers Association, Simon now spends most of his time helping and educating other investors by sharing his “hands on experience” gained over the last 12 years as a successful investor. 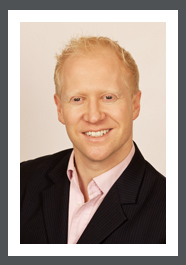 In 2003 Simon founded the Property Investors Network to provide a supportive environment for investors to learn more about investing with the aim of maximising their return and minimising the risks. Simon is also the founder of the very popular Property Mastermind Program which helps serious investors to build a £1million property portfolio and a £50,000 income from property in just 12 months.